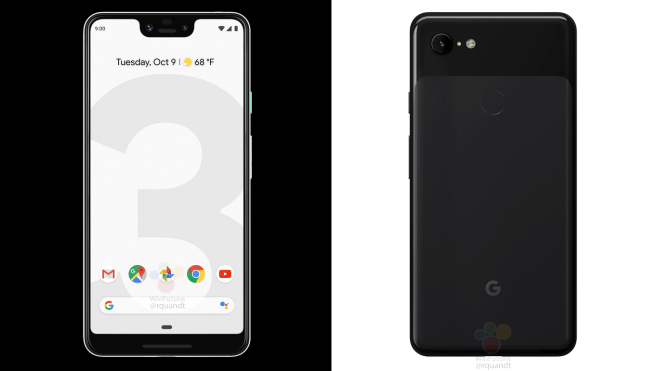 Two official-looking renders of the upcoming Google Pixel 3 XL have leaked from @RolandQuandt via his Twitter account. 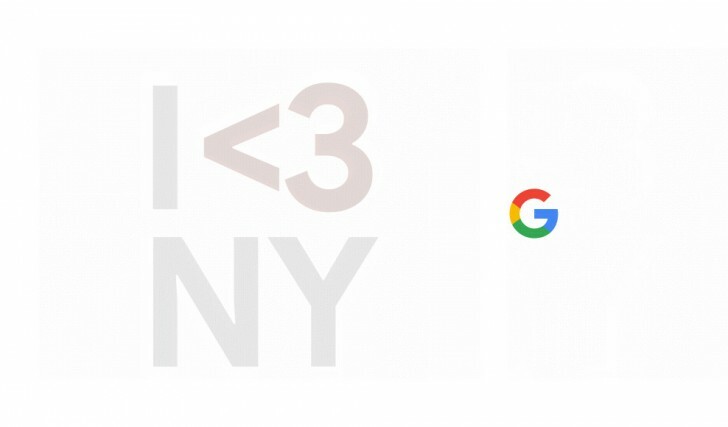 Google has scheduled a hardware launch event on 9th of October where it is likely to announce its flagship devices, the Pixel 3 and Pixel 3 XL. There is a mint colored power button on the White color model which we have seen in the leaks of the Pixel 3 XL that involved an image of the smartphone. The notch on the Pixel 3 XL is a bigger one which can house two cameras along with earpiece and few sensors. The device is going to get a 6.2” display along with 2880 x 1440 pixels resolutions while the smaller Pixel 3 will be having 5.5inch display with similar resolution. Nothing much is known about the specs sheet yet but we can expect a Snapdragon 845 processor along with a minimum of 4GB of RAM memory. We need to wait few more days to get more details about these smartphone. 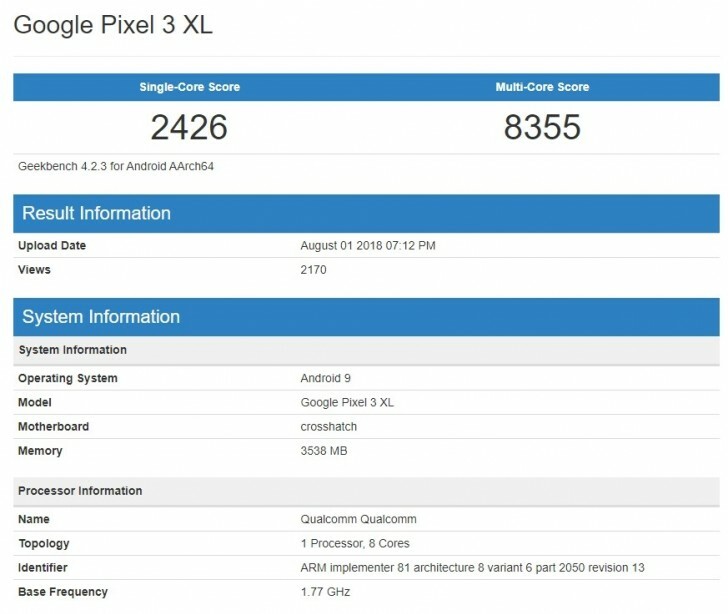 A couple of days earlier, we have seen a pre-production unit of the upcoming Google Pixel 3 XL getting leaked and now Google has confirmed the launch date of the Pixel 3 XL along with its sibling Pixel 3 will be getting official on 9th of October. This announcement will be done in New York City at 11 AM ET and we will also be provided with a live video stream on YouTube which will be embedded on the same day. As we know, these handsets will be coming with Snapdragon 845 chipset and just a single rear camera along with a dual front-facing cameras. Moreover, these will be coming with Qi wireless charging technology along with a glass back. What are your views on these handsets? Are you excited to get them? Comment in the section below and stay tuned to Android Advices for more news and updates. Earlier: The upcoming and the most awaited Pixel 3 XL has been leaking from many days and thanks to someone as they have left a pre-production unit of this flagship device in a Lyft. The leaks of the handset reveal the front and rear along with a notch and also a face scanning sensor. There is also a second loudspeaker on the front and we can see a selfie camera. Well, thanks to the person who has left the device in Lyft and has confirmed the existence of the smartphone. According to the previous leaks, the successor of the Pixel 2 XL will be sporting 1440 x 1960px AMOLED display with a notch and has one 12MP main camera sensor. There is also a 3430mAh battery which also supports wireless charging. Coming to the announcement, it is expected to be showcased in the month of October along with its sibling Pixel 3. Well, what are your views on this leak? Comment in the section below and stay tuned to Android Advices for more. 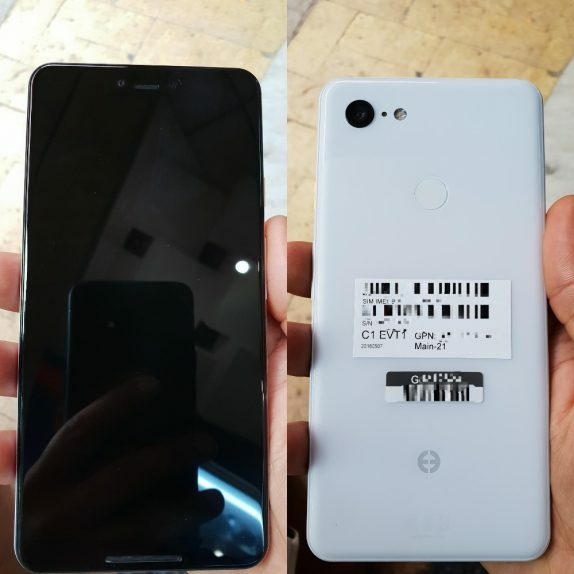 Few more images of the Pixel 3 XL smartphone have come up following the video leaks a few days back. 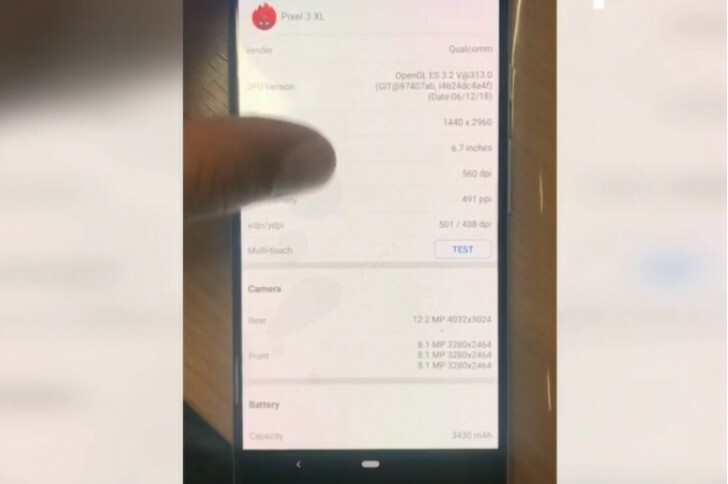 A tech blogger from Russia has posted a hands-on video on telegram of a pre-production unit of the Pixel 3 XL and few images have been extracted from the same. According to it, the device will be sporting a 6.7-inch 1440 x 2960 display and will be powered with a bit 3430 mAh battery. As said earlier, the handset will have only one 12MP camera on the rear which is surely going to come with larger sensors and many bundled features. The base model of the flagship device will be coming with 4GB of RAM and 64GB of storage and will be running on Snapdragon 845 processor. From the image, we can see that the device has walloper support which indicates the always-on display function. With more that 2 months for the official unveiling of the handset, we will see more and more leaks of this device and sure we will get price leaks also very soon. After the Chinese Benchmark leaks a few hours ago, the Google Pixel 3 XL has popped up again and this time in an unboxing video, showcasing the retail box along with all the supplied accessories. The video just reveals the photos of the flagship device and it will come with a notch. Few other specs like Snapdragon 845 SoC along with the 4GB RAM and also the 1440p+ display has been shown. With Android 9 Pie hitting the smartphones, the Pixel 3 XL will be coming with the latest operating system and there is only the single camera on the rear. Interestingly, the video reveals a pair of headphones which we didn’t find in its successor Pixel 2 XL. The package of the box included a USB-C to USB-C cable, a USB-C to USB-A adapter and the charger along with USB-C to 3.5mm adapter. We are expecting the handset to be unveiled early October and we might see more leaks in the coming days. After several leaks of the Google’s Pixel 3 XL flagship device from past few weeks, we have another leak as the device has been spotted on a Chinese benchmark score sheet with just 4GB of RAM. Recently it was spotted on Geekbench with a single rear camera and 4GB of RAM and now on Master Lu benchmark listing. We need to see if these are just pre-production units or Google plans to launch the handset with just 4GB RAM. The listing also revealed the 1440 x 2960 display screen on the smartphone with 18:5:9 aspect ratio with a notched design. The upcoming flagship device will be coming out of the box with the latest Android 9.0 Pie operating system and will be powered by Snapdragon 845 processor. It will be interesting to see what the final product will be when Google decides to launch the smartphone as we can see many raised eyebrows on questing about the RAM storage. What do you think about the smartphone? Let us know by commenting in the section below. Earlier: Google Pixel 3 XL has been spotted on Geekbench after the live image leaks a few days earlier. From earlier leaks, the device is already confirmed to come with a single camera on the rear and the notch display but specs list is not completed yet. The device has been listed on Geekbench listing running on the latest Snapdragon 845 chipset along with 4GB of RAM. The Pixel 3 XL along with Pixel 3 will also come out of the box with the latest Android P operating system. The single-core score on the listing was 2426 and multi-core score was 8355 which is less considering Pixel 3 XL is a flagship device of this year. Well, this could be a trial version of the device and we might get to see the final device after few more days. We have to wait for few more days to get all the official details of the same. Stay tuned to Android Advices for more news and updates. Earlier: Google’s upcoming flagship models Pixel 3 and Pixel 3 XL are nothing new to us. Initially, it was the screen protector leaks that revealed the design of the smartphone and later Pixel 3XL was spotted in some live images that revealed the notch design with a single rear camera. 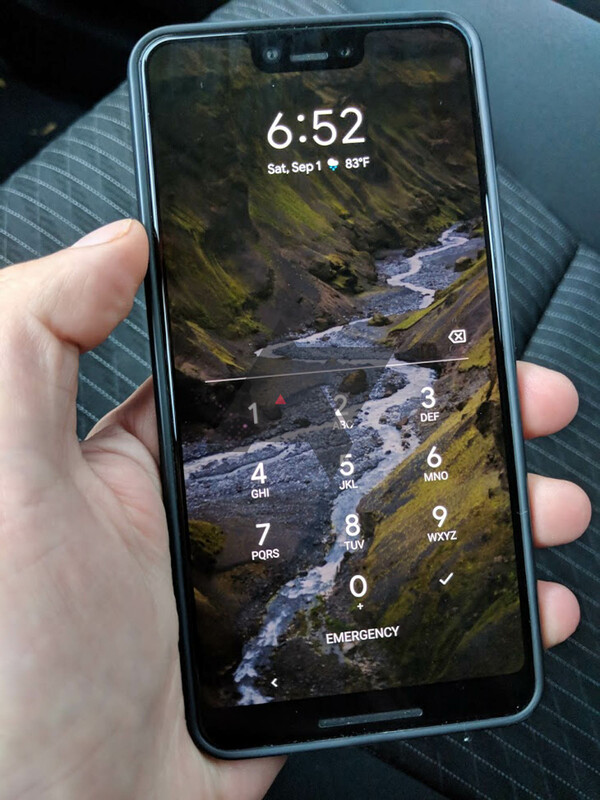 Now, few live images of the White Pixel 3 XL have popped up again, courtesy of an XDA member showing us the rear and front side of the handset. The leaked images look similar to that of its predecessor Pixel 2 XL with slim bezels but the Pixel 3 XL has an extra notch with 19:9 aspect ratio. On the back, we can find a single rear camera unlike the new trend of dual rear camera design and also a LED flash and logo of Google. There is also a fingerprint sensor on the rear only, indicating it will come out with the old design only. With the official announcement of the device couple of months away we would be witnessing more leaks which could showcase many more aspects of the handset and we might even get leaks of the pricing in a different region along with the availability. We can expect two different variants of this handset one depending upon the region of the availability. Both these smartphones will come with the latest Android P operating system out of the box and will also be among the first list to get further updates also. Both the Pixel 3 and the bigger Pixel 3 XL smartphones are expected to come with 6-inch of display and will also be powered with Snapdragon 845 processor which can be coupled with either 4GB or 6GB of RAM. Well, all these have to be taken with a pinch of salt as nothing is been confirmed by any source and these are just leaks. We might actually a completely different set of the specification if Google decides to surprise everyone. What do you think about the Pixel 3 and Pixel 3 XL smartphones? Comment in the section below and stay tuned to Android Advices for more.